One never knows how our lives evolve and what impact we will have on social issues and the various movements for radical social justice. 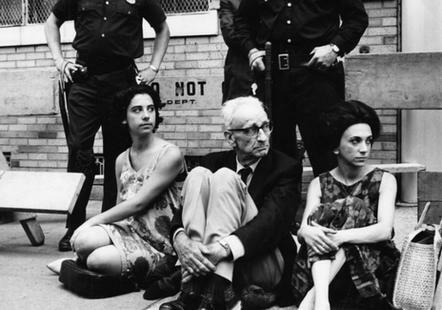 Abraham Johannes Muste, also known as AJ, was one of those people who had and continues to have a lasting impact on critical social movements within the United States. AJ Muste was born in the Netherlands, but by age 5 had moved with his family to Grand Rapids, Michigan in 1891. Living on Quimby Street, AJ’s father got a job working for $6 a week for 60 hours of work. Muste’s family was part of the Reformed Church and AJ attended a parochial school while living in Grand Rapids. At the young age of 13, Muste became a member of Fourth Reformed Church in Grand Rapids and had strong religious convictions. During the time he lived with his family, the other major issue that impacted his life was that of working class values and the struggles of workers in Grand Rapids who were fighting to be part of a union. The labor struggles in Grand Rapids and members of his family had a deep impact on Muste and would later be a major focus of his work. 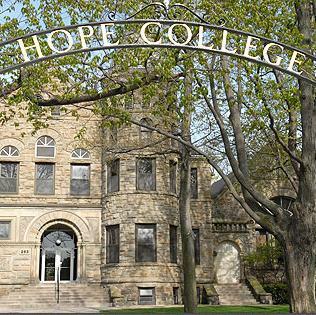 When he completed preparatory school, Muste enrolled in Hope College. During the eight years Muste spent at Hope, he excelled in the classroom and was involved in numerous extra-curricular activities. He served as the school’s first athletic director, while playing football and baseball, and captained the basketball team as well. Muste wrote for the Anchor, won the Hope College oratorical contest as a sophomore, and placed second in the interstate oratorical competition. In addition to excelling in school, Muste also held several jobs. He led Bible studies, Sunday school classes, and sold Bibles, a job he strongly disliked. He also worked at the Hope College library, wrapped presents during the holidays, worked at the Quimby Furniture Factory, and served as an assistant to Holland’s coroner. Muste graduated from Hope in 1905 at the age of 20. He was valedictorian of his class. Muste then left the area and took a job teaching at Northwestern Classical Academy in Orange City, Iowa. AJ didn’t stay there long and quickly moved to New York City in the summer of 1908. The living conditions of the working poor activities of labor unions had a significant impact on how Muste viewed his faith. Muste was so impacted by what he saw in New York City, that he shifted his political affiliation from the Republican Party to support for the Socialist Party. In fact, Muste voted for the radical labor organizer Eugene Debs and the Socialist Party in 1912. By the time that the US became involved in World War I, Muste’s faith was again shaken by the moral conundrum of the violence of war. It was during this time that Muste eventually became a committed pacifist and could not support war and institutionalized violence for any reason. During Muste’s conversion to pacifism, he was the pastor of a Congregational Church in Massachusetts. When members of his congregation had lost sons during WWI, Muste grappled with his own convictions and the needs of the members of his congregation. Muste eventually could not reconcile the conflict and decided to resign from the ministry. Muste did develop a relationship with Quakers at the time and became involved in the newly formed group, the Fellowship of Reconciliation (FOR). 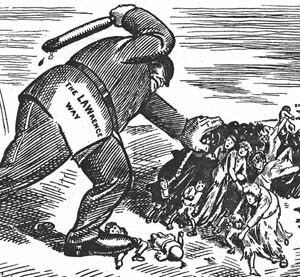 No longer rooted in the church, Muste was then drawn to the struggles of working class people and cut his labor organizing teeth during the 1919 Lawrence Textile Strike. Muste first began by raising funds for the striking workers, but eventually discovered his oratory skills were useful for the strike and the ex-preacher had become the spokesperson for the 30,000 striking workers. Muste also put his pacifism to the test, by being on the picket line and, like his fellow workers, was beaten by cops and other hired thugs working for the textile mill. This experience with the Lawrence Textile strike led Muste to become a longtime member of the Amalgamated Textile Workers of America and eventually to become a member of the faculty at Brookwood Labor College in New York. Muste was also instrumental in the 1930s in the formation of the American Workers Party. There is a great audio lecture delivered by Muste in the mid-1960s, where Muste talks about his involvement in labor struggles in the 1930s. However, by 1936, Muste had become disillusioned with party politics and socialism. 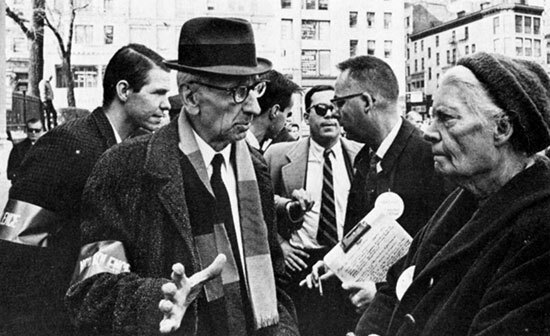 Muste found his way back to pacifism and particularly Christian pacifism. 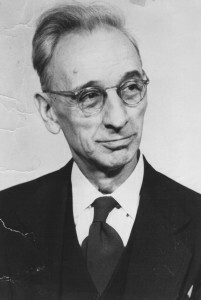 From 1940 – 1953, Muste had become the executive director of the Fellowship of Reconciliation (FOR). Many of the people that Muste came into contact through FOR, particularly as a mentor, were students who gone on to form the group, the Congress for Racial Equality (CORE). Muste not only encourage the formation of CORE, he was one of its main fundraiser during its early years. AJ Muste continue to participate in and influence movements. In the early years of organized opposition to the Vietnam War, Muste was one of its most vocal critics and was a leader in the lead up to the massive 1967 mobilization to end the war in Vietnam. In 1966, he travel to Vietnam and met with Ho Chi Minh. In February of 1967, at the age of 82, Muste’s life came to an end. This entry was posted in Anti-Capitalism/Labor, Anti-War/Anti-Imperialism, Civil Rights/Freedom Movement and tagged AJ Muste and his impact on Dr. King, AJ Muste and labor organizing, AJ Muste and radical pacifism, AJ Muste lived in Grand Rapids, AJ Muste went to Hope College. Bookmark the permalink.